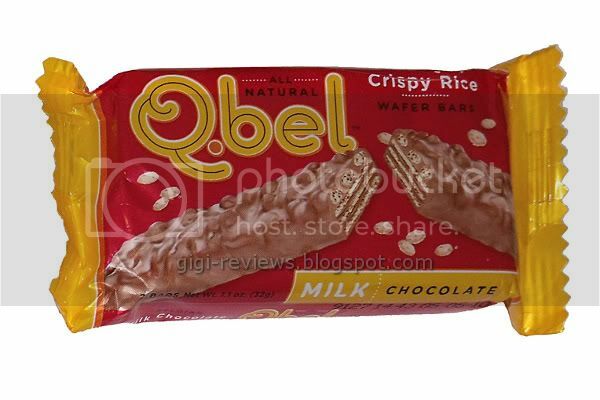 Q.bel's version consists of two bars that are comprised of layers of chocolate, wafers, then topped with rice and covered in milk chocolate. And the whole thing is all natural. Sounds promising, right? 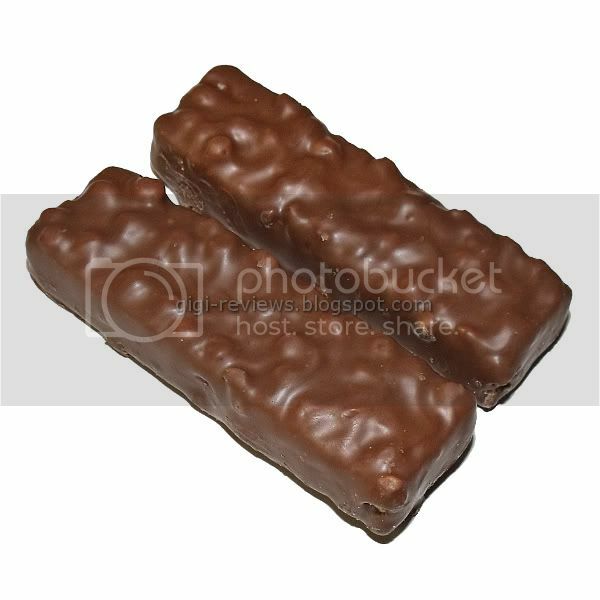 Each of the two fingers that form the serving are generously sized. 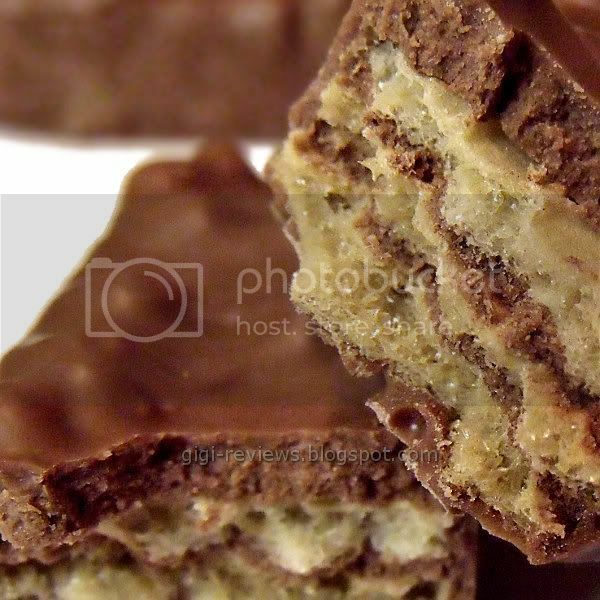 The bottom layers of the bar are alternating layers of wafers and chocolate. Sprinkled across the top are grains of puffed rice. The bar smells sweet -- sort of like chocolate covered Frosted Rice Krispies. I liked the wafer layers a lot. They were crisp and fresh and tasted sort of like a cake-style ice cream cone (yummm...). The puffed rice on the top brings extra crunch, and -- shock of all shocks -- it does in fact taste like cereal. And golly gee, wanna take bets if me and my Seinfeld-like cereal addiction liked it? Of course I liked it! It was really only the chocolate I that didn't love. Now, don't get me wrong; it's not bad by any stretch. It's just sweeter than I prefer my chocolate. It's very milky and creamy, but it does seem as if "sweet" is the strongest part of the flavor. I have a feeling that I am going to love the dark chocolate version, because I loved the rice and I loved the wafers. I just needed something a bit more bitter to tie it all together. Made on equipment that may have processed peanuts or tree nuts. Contains wheat, dairy, soy, and eggs.